New Jersey Department of Transportation (NJDOT) officials reminded motorists the Mathis Bridge/Route 37 eastbound is scheduled to be closed through the spring for the start of the third and final winter construction season to complete a deck replacement project. Traffic will be shifted onto the Tunney Bridge/Route 37 westbound in Ocean County. 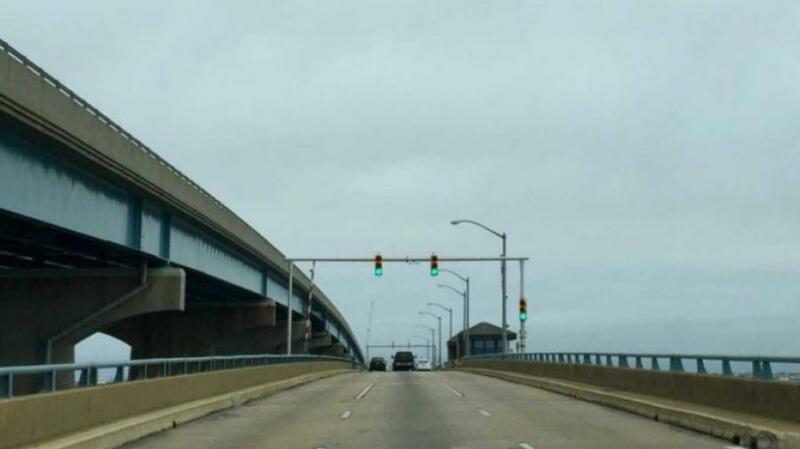 On Oct. 27, NJDOT's contractor Schiavone Construction Company, began the process of closing the Mathis Bridge by relocating construction barriers, restriping and reconfiguring traffic signals approaching the bridges. The traffic shift will move eastbound traffic on Route 37 to one lane of the westbound side of the Tunney Bridge in Toms River. This shift will close Route 37 at the intersection of Douglas Street just before the Mathis Bridge. Traffic will be shifted back onto Route 37 eastbound after crossing the Tunney Bridge near Sunset Drive on Pelican Island. The jughandle to turn onto Douglas Street in Toms River will remain open. No wide loads will be permitted on the eastbound lane of the Tunney Bridge while the Mathis Bridge is closed. All wide load drivers must obtain a permit from the NJDOT, which will direct them to an acceptable alternate route. For more information about oversize loads visit the state.nj.us/transportation/freight/trucking/. While the Mathis Bridge is closed, two lanes of traffic westbound and one lane eastbound will be maintained on the Tunney Bridge, separated by a moveable barrier. Should there be a need for an evacuation, all three lanes may be made operational in the westerly direction. The Mathis Bridge will reopen by May 15, 2018 before the busy summer vacation season. There will be no Mathis Bridge openings for marine traffic between Dec. 1, 2017 and March 15, 2018. The construction cycle will allow the contractor to install new bridge deck panels; install a new four-bar parapet; and replace bridge bearings. In addition, the bridge operator's house will be rehabilitated; structural steel repairs of the anchor and bascule spans will be completed; and the electrical and mechanical systems that operate the bridge, warning gates and video monitoring system will be upgraded. The eastbound Mathis Bridge and westbound Tunney Bridges are a pair of bridges carrying Route 37 over Barnegat Bay between Toms River and Seaside Heights. The Mathis Bridge, a mile-long double leaf bascule moveable span bridge completed in 1950, is the older of the two and in need of repairs. The $74 million federally-funded project will replace the existing bridge deck on the Mathis Bridge; which is 67 years old; make safety improvements to the barrier and railings; and repair and replace mechanical and electrical components that operate the moveable lift span. Construction is anticipated to take place for three seasons and is expected to be completed by the summer 2018. The construction cycle requiring a full closure of the Mathis Bridge will be limited to Nov. 1 to April 30 each year. During each of these construction cycles, summer traffic from approximately May 15 to Sept. 15 will not be affected and all three current lanes on each bridge will be open to traffic. NJDOT created a project-specific website that contains a wealth of information about the project, which can be found on the Department's web site by going to www.NJCommuter.com and selecting Route 37 Mathis Bridge under the Construction Updates bullet. The Department is carefully coordinating the project with local officials to minimize the effect to residents and businesses. For more information, call 732/230-7356 or visit state.nj.us/transportation/commuter/roads/rte37mathisbridge/contact.shtm.